As I get older and become less of a punk, I tend to thank my lucky stars more and more each day. As little brat skater from Malaysia, I would never have thought that I would play music for a job and also be lucky enough to work for Sneaker Freaker Magazine. Every job comes with perks and I don’t really need to tell you what mine are. 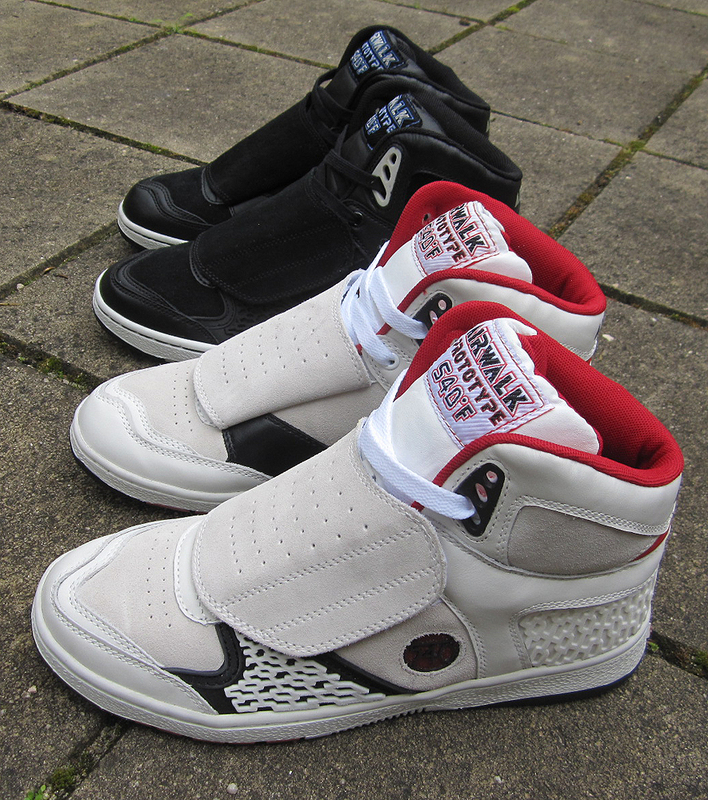 I don’t normally like to gloat about getting stuff, but I was super excited when AIRWALK sent me this package. I had ‘expressed’ some interest on the reissues of some of the old 540° models. To my delight they sent me both reissued colours!!! Just wanted to say thanks to the guys at Airwalk, and also MAFIA for teeing it up! Oh…and they are available HERE! Anyone who is into bikes or biking in general would know that ‘CLYCLOCROSS’ has taken over the world by storm. For the uninitiated, it is a type of bike race that is done in a not so permanent circuit normally designed and drawn out around existing parks, roads and whatever else real estate that is in the area. After being coaxed into checking out one of these events by my many riding mates who are crazy about it, I turned up to my first over the weekend. I thought I’d rock up to show my support for an hour or so and leave quietly, like I do at most boring events – but was I ever wrong!!! This event turned out to be one of the best events I have ever attended. Most of the who’s who of the Melbourne bike scene was there, represented by at least one or two crews from each discipline. There were raodies, mountain bikers, bmxers, fixed heads and kids of all ages. 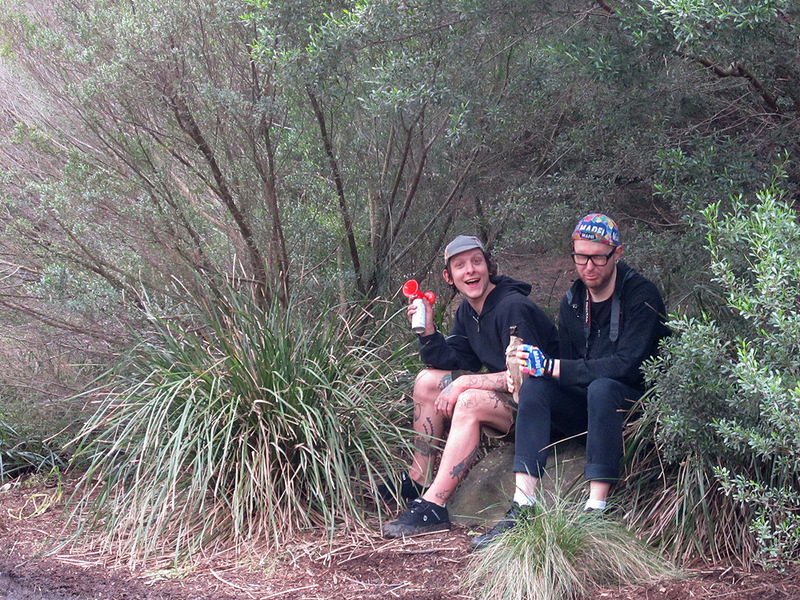 Normally when mates come and support you at any event, there are cheers of encouragement but also some heckling. On this day, the heckling was somewhat on another level. 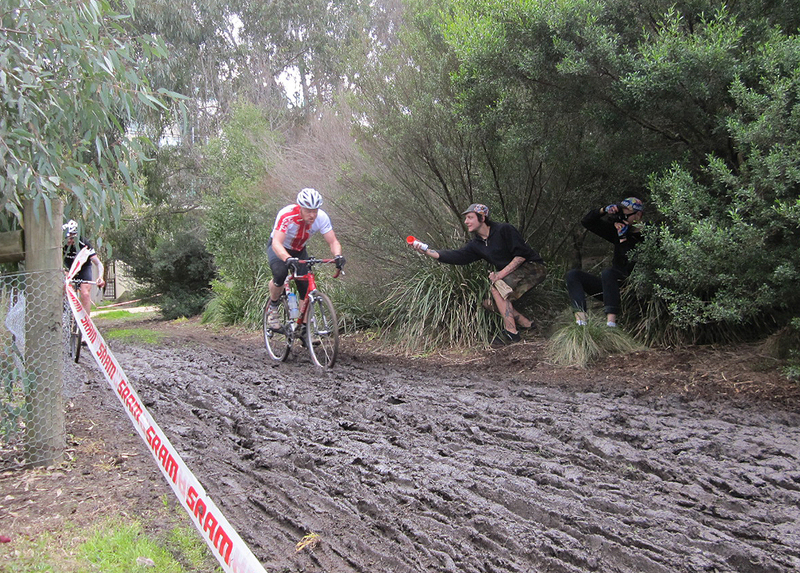 We found the muddiest, smelliest and probably the hardest part of the course to spectate and from there the entire crew set out to make it the worst hell possible for our mates who were racing. At first I thought it was such a low thing to do – but it seems like this type of behaviour is encouraged both by the organisers and competitors alike!!! And when you throw shananigans into an official event (within reason of course), you get a day of non stop laughing and fun! I guarantee everyone who was there had the best day ever. I was so busy screaming most of the time I forgot about taking pics. All I got was this one of Tom and Jamie hiding behind the bush in the mud pit with an air-horn, waiting for unsuspecting riders to come past! So so funny. 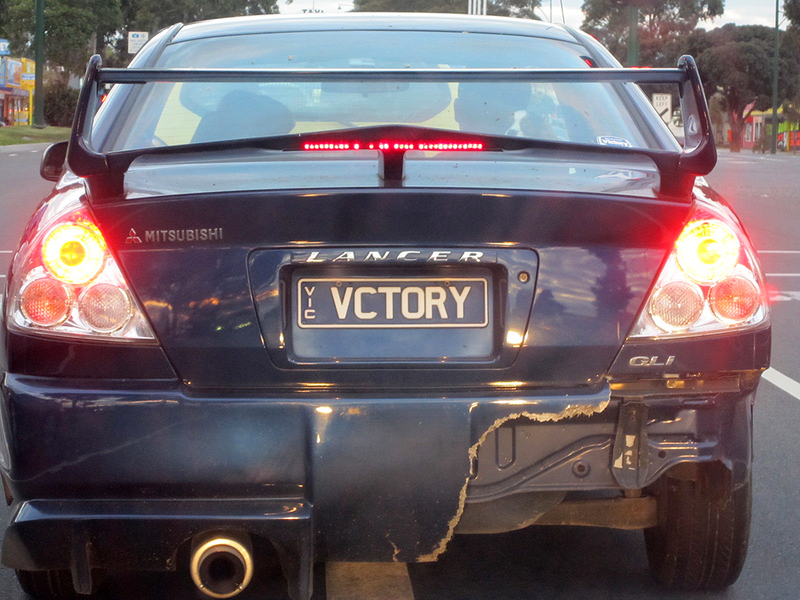 Head over to the two links for some great pics of the day…. 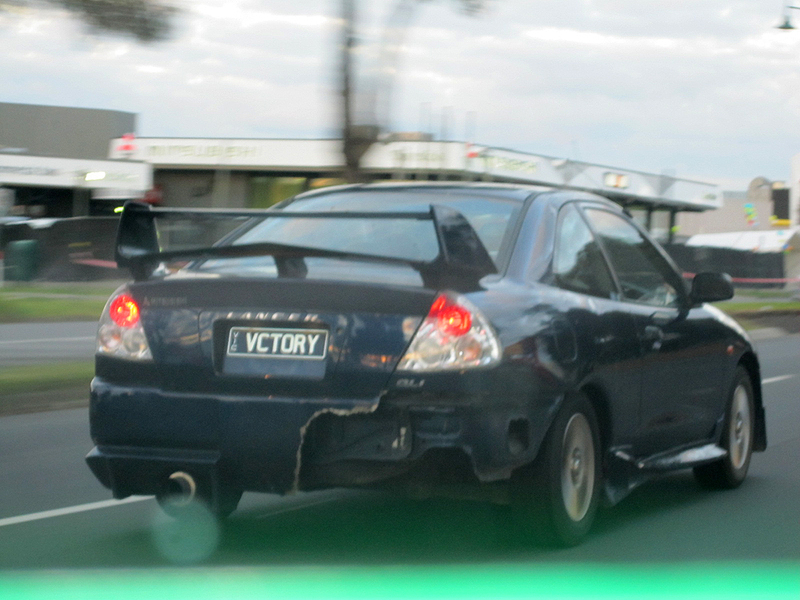 Tags: accident much?, bad plate combo, cheap bodykit, even cheaper car, VICTORY!